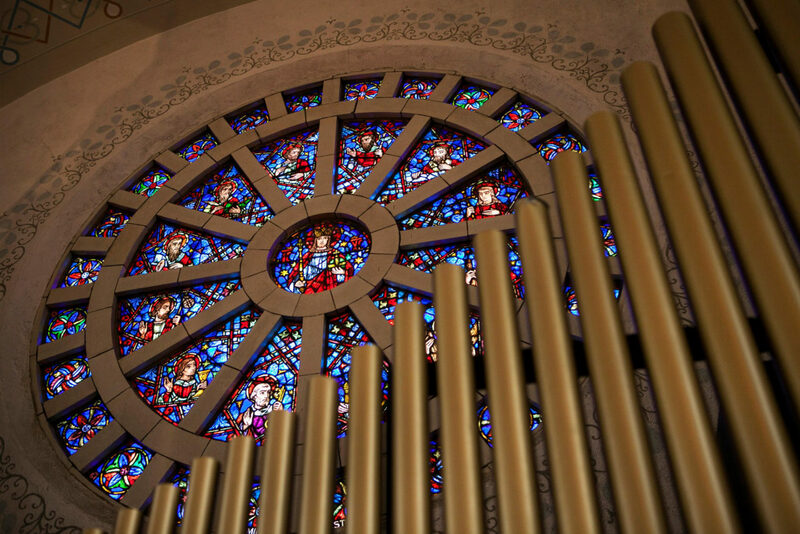 Since its founding in 1893, St. Vitus Parish has been blessed to have had many individuals who have sung in one or more choirs as well as being able to sing in multiple languages. 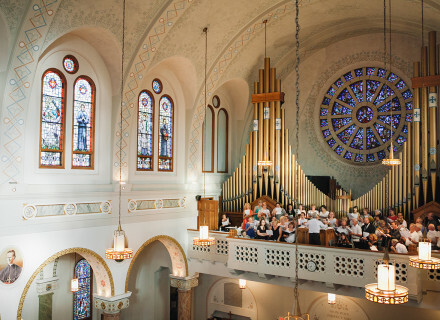 For over twenty years, members of both parish choirs as well as choir members of sister parish, St. Mary Church, in the Collinwood neighborhood of Cleveland, or any individual who loves to sing sacred Christmas songs, come together to perform a “Christmas Concert of Sacred Songs,” usually held on the Sunday following Christmas Day. 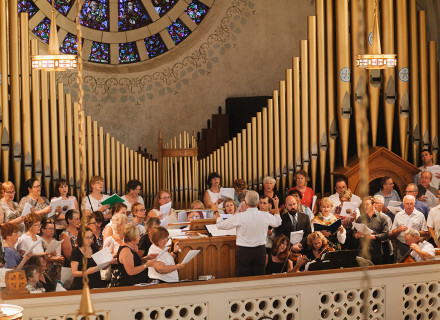 Approximately 50-60 people, under the direction of choirmaster John Srsen, perform sacred songs of the Christmas season in English, Slovenian, Latin, and occasionally, Italian. 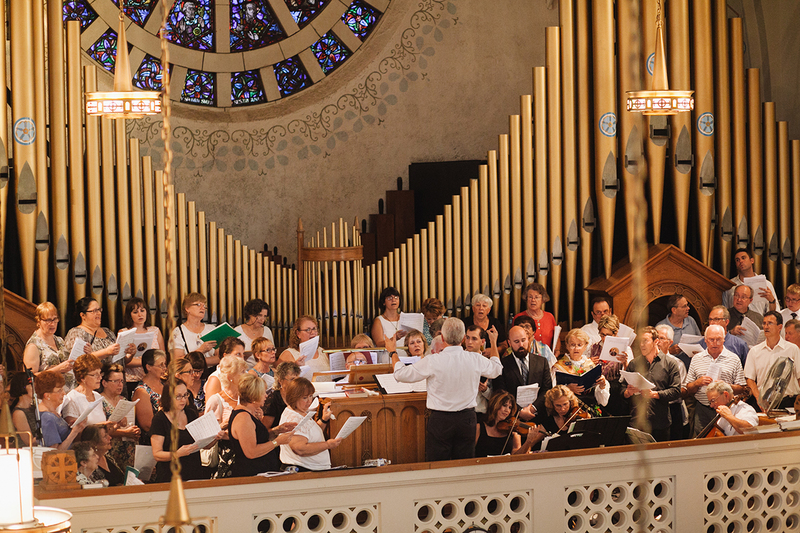 The Christmas Concert Choir is accompanied by a professional organist as well as professional string musicians. An all Parish Mass precedes the “Concert of Christmas Sacred Songs” to enable families to come together after a hectic Christmas time to pray and worship, which is followed by an hour or so of sacred Christmas songs. The choir, lead by John Srsen, performing during Baraga Days Mass in St. Vitus Church. 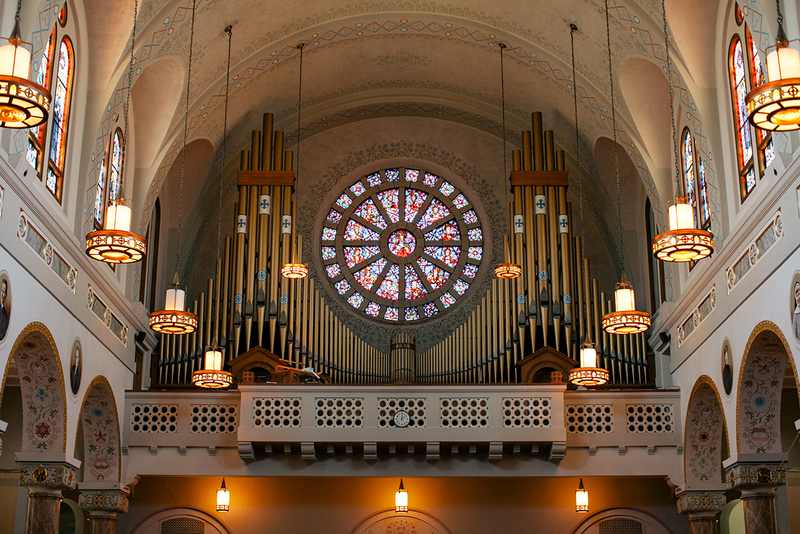 Full view of the choir loft, from the perspective of the altar. 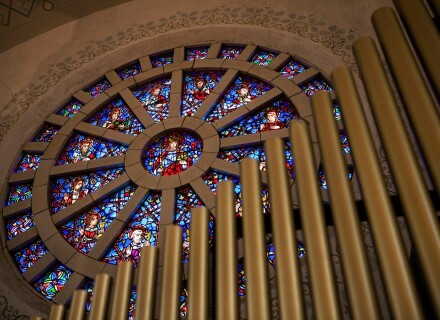 Featured above our organ in the choir loft. One of the oldest parish organizations, LIRA was established in 1912 by Msgr. Ponikvar to provide singing during the Mass or other para-liturgical services. 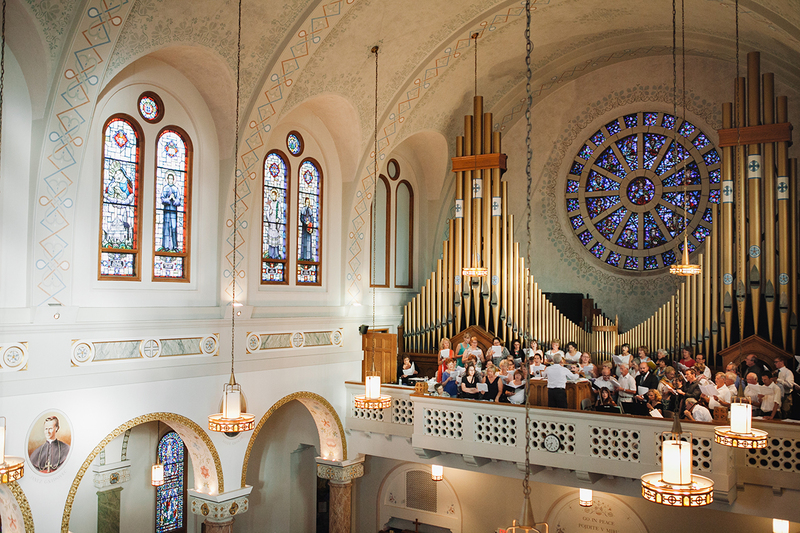 The first choral director was Matej Holmar, followed by Peter Srnovrsnik, Martin Kosnik, Peter Johnson, David Krizan, and currently, R. Frank Coffelt. 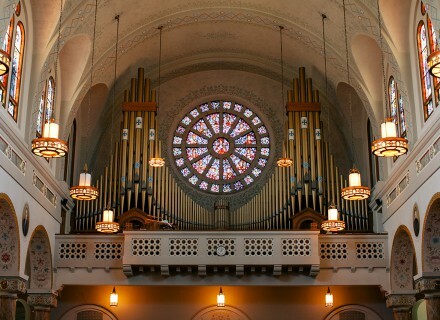 All the choral directors have been able to play the church pipe organ. LIRA has performed at concerts, operettas, and on various radio stations. LIRA members provide singing for the Sunday 10:30AM Mass as well as lending their voices at other parish para-liturgical services such as the Litanies. Membership is opened to any individual willing to lend his or her voice. In 1968, the parish youth choir began with Kathleen Avsec and Rose Zupan. Playing guitars, they lead St. Vitus School children at school liturgies. This evolved by 1971 with Jerry Zupan formally conducting high school and college-aged individuals’ singing at Mass. In 1977, John Srsen accepted the position as choral director for the “Youth Choir.” Since then, Mr. Srsen has been the principal musician and choirmaster at the 9AM Mass as well as the director of the choir at other para-liturgical services; this includes such the annual Tenebrae service held the evening before Holy Thursday, at which choir members sing in English, Slovenian, and Latin. During the liturgical seasons of Christmas and Easter, the voices of choir members provide harmony to many traditional sacred songs. Membership is open to any person, including young children. Mr. Srsen is also the volunteer choral director for the parish Saturday Language School.